Has your pool turned green? We want to help you get it back to this! Not only is a green pool an eyesore, but it’s also unsafe to swim in! 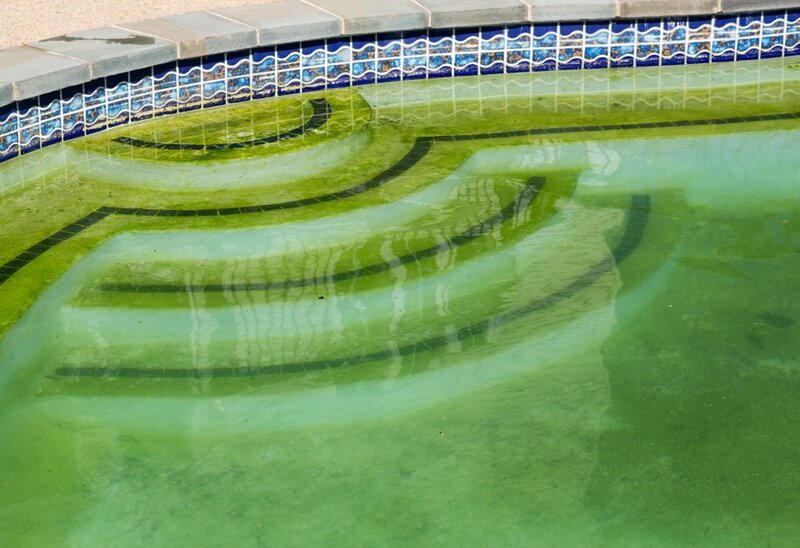 When a pool turns green, it’s become a breeding ground of algae and bacteria. How do you restore your pool to its sparkling glory? The number one reported pool complaint is a green pool! This is caused by an algae infestation. Algae can grow very rapidly. To treat your pool, you will need to use an algaecide; a product especially designed to treat the algae present in your pool, and also prevent future growth. Algae will continue to grow as long as it has a food source. It is therefore imperative that you also remove the contaminants that algae feed on (you do this by adding a shock dose of chlorine). Follow the advice below or seek professional advice from your BioGuard Approved Retailer to determine which products are best for you. Firstly, skim and vacuum your pool to remove any debris. Leaves and other debris break down into organic waste, which the algae then feeds on. The more organic waste you can remove now, the less ‘work’ your chlorine has to do, and the less chlorine you will have to add later. Once you’ve done that, you can test and then treat your pool water. We recommend taking a water sample to your local BioGuard Approved Retailer before adding any chemicals. Adding chemicals before getting your test results will give you inaccurate readings and make it harder for you to get the right advice. You can learn more about water testing by reading our guide: Does Water Testing Matter. The next step is to treat your pool. 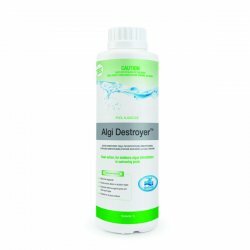 The most effective way to rid your pool of algae is to do a shock treatment and add algaecide. We recommend using BioGuard Burn Out® Extreme as your shock treatment, in conjunction with BioGuard Algi Destroyer™ as your algaecide. For a treatment plan tailored to your specific needs, visit your local BioGuard Approved Retailer. 1) Assess the amount of shock treatment required based on your pool’s colour. (Note: all of the following steps require the use of an appropriate algaecide. See your local BioGuard Approved Retailer to determine the best option for your system). This indicates a low level of algae in the water and will require a shock treatment. 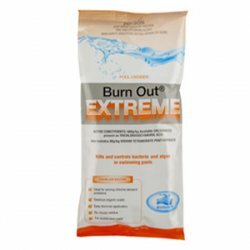 You will need to add one bag of BioGuard Burn Out Extreme to every 50,000L of pool water. This typically indicates a heavy level of algae in the water and will require double the shock treatment. 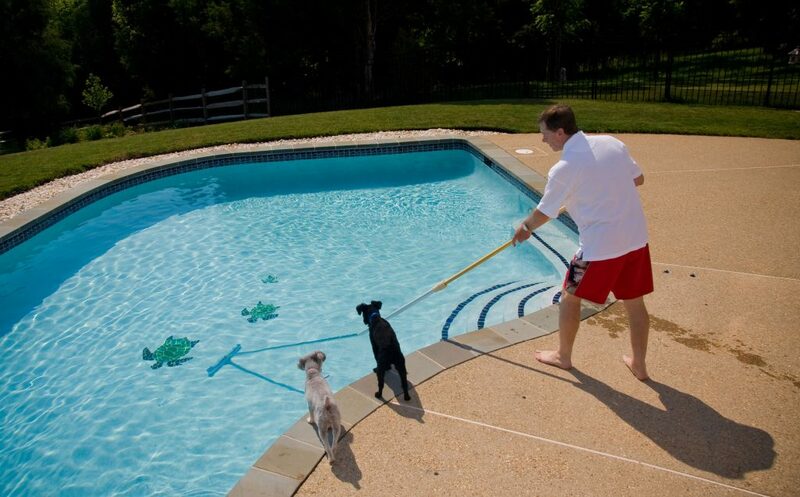 To do this, you will need two treatments of BioGuard Burn Out Extreme to every 50,000L of pool water. 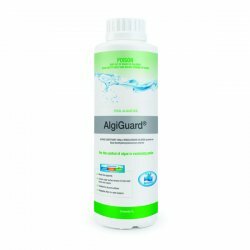 This signifies an extreme level of algae in the water, and at this stage, you will need professional help from your local BioGuard Approved Retailer. 2) Run your pool filter and pump continually during the treatment. The longer you are able to run your pump and filter the sooner your pool will return to its sparkling best. Don’t be alarmed! The goal of the shock treatment is to kill algae (which turns them grey) which then turns your water cloudy and blue. 3) Add a BioGuard Super Clear Clarifying Tab™ to clear away cloudiness and get your pool sparkling again! Regular brushing during treatment is critical for every algae problem, as it greatly improves chemical efficiency in killing algae spores. Follow these steps, and you’ll have the algae under control in no time! At BioGuard, we believe that prevention is better than cure. To prevent algae growth in the first place, we recommend adding a BioGuard Algaecide to your pool water once a week. Did you find this useful? Why not follow our Facebook page for more tips on pool trends and maintenance.